It’s that time of month again — Fan Friday with a few extra goodies tossed in, including BioWare’s E3 round-up of fan and media reaction, including a list of awards SWTOR won. SWTOR Writer Ian Ryan talks about working with the art team to make sure what the players see is in sync with the story they are experiencing. 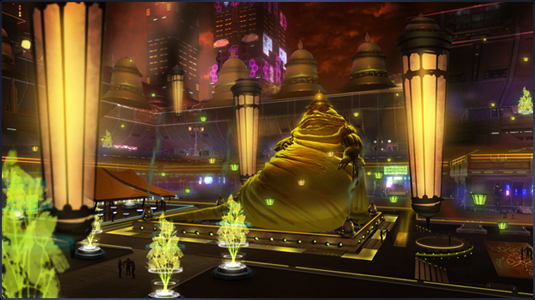 He gives an example of the original concept for the Promenade on Nar Shaddaa. More Friday Update info and Comments after the jump.